The interurban and streetcar industries could not celebrate many achievements in terms of either the technologies they introduced or their lasting legacy on society in general. 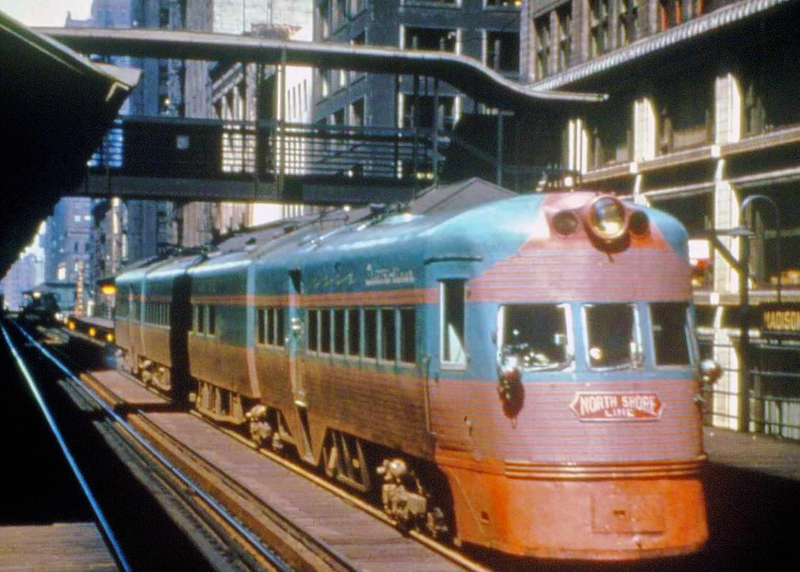 However, one of the significant developments included the Electroliners built for the Chicago, North Shore & Milwaukee Railroad (the North Shore Line) by the St. Louis Car Company. Built during the early era of the streamliner craze in the railroad industry, the two trainsets were eye-opening for two reasons: first was the fact that the interurban industry was on its last stand by the early 1940s when the streamlined trains were introduced; and second, interurbans were not generally thought of as high speed operations. The trainsets were certainly one of the final major orders ever taken for an interurban and easily the flashiest ever built. Today, both sets remain preserved in Rockhill Furnace, Pennsylvania and at the Illinois Railway Museum. 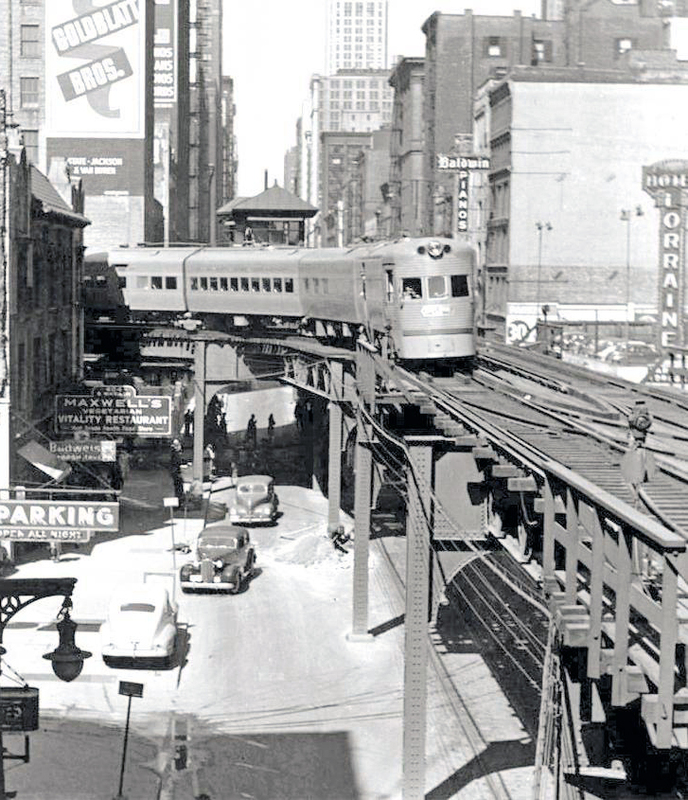 The North Shore Line's Electroliners was the interurban's last gasp at retaining its passenger traffic, which had been slowly withering away since after 1910. For most street railway and interurban lines the coming of the automobile put an end to an industry that was just a few decades old. The 1920s and the Great Depression later that decade bankrupted and shutdown many intermediate lines while the strongest companies carried on until around the start of World War II. However, even most of these operated in the red for many years before finally discontinuing operations. Only a select few, usually the largest serving the biggest cities (or with a substantial amount of freight traffic such as the Piedmont & Northern) survived past World War II. The Chicago, North Shore & Milwaukee: "The North Shore Line"
The Chicago, North Shore & Milwaukee Railroad was able to whether the depression and financial difficulties between 1910 and the end of World War II primarily because of its significant amount of commuter and long distance traffic between its two largest cities (Chicago and Milwaukee). By the 1930s the company was completing several improvement projects to its main lines, which increased transit times and reduced delays. As another means of improving its services the company ordered its final new equipment in 1941, two streamlined, articulated trainsets from the St. Louis Car Company dubbed Electroliners. If the trains resemble similar trainsets built at the time for main line railroads like the Chicago, Burlington & Quincy's Zephyrs or Union Pacific's M-10000 it is because the Electroliner was partially inspired by them. 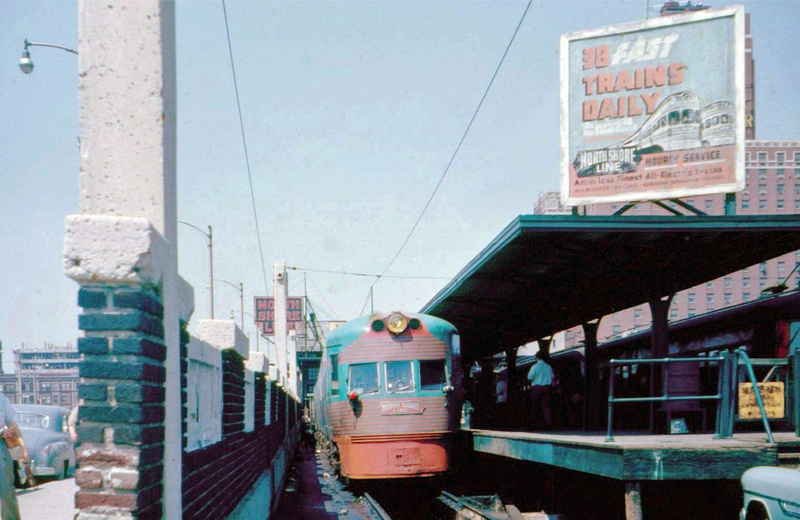 Despite the interurban industry in severe decline by the early 1940s, St. Louis remained one of the preeminent builders and did an excellent job in the design and construction of the trainsets. They were designed in such a way that a power car was located on each end so as not to necessitate turning. Each trainset also featured a rather unique numbering system. Overall, there were four cars to each set but they were numbered as pairs of two. For instance, one trainset held #801-#802 while the other was listed as #803-#804. As for the train's interior it was much more luxurious than most other interurban car setups. Three of the four cars were equipped with luxury coach seating while a middle car featured a luxury-lounge. Each trainset could hold a maximum of 146 passengers; each power car doubled as a luxury coach and held 40 passengers each (one car was split with a section for smoking that held 10 individuals), one center car held 40, and the lounge featured an occupancy of 26. 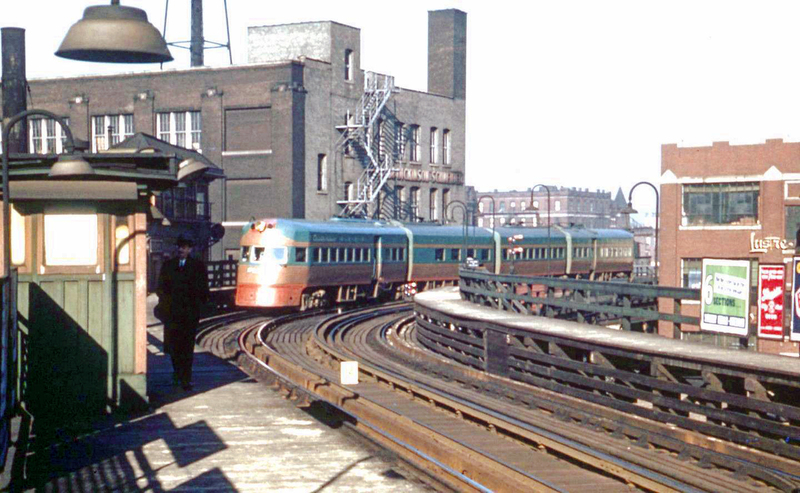 As one might imagine the trains were immediately designated as the North Shore Line's premier runs offering one way, through fares between Milwaukee and Chicago daily. Surprisingly, the new Electroliners proved to be quite successful for the CNS&M. Capable of operating at speeds of up to 90 miles per hour they were specifically built to also handle the rough track and sharp curves inherent with interurban trackage (although the North Shore featured some of the best maintained routes of any interurban). For 22 years they remained in regular service on the North Shore despite the company continually losing traffic and revenue. With freight traffic never providing more than 25% of its profits it was likely inevitable that the company would eventually succumb to the losses. 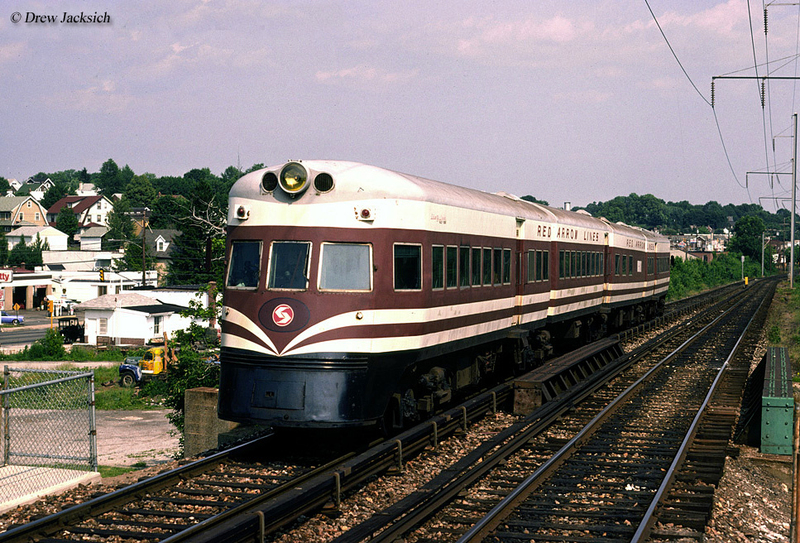 In 1963 the North Shore shutdown permanently and the trainsets were sold to the Philadelphia Suburban Transportation Company which renamed them as Liberty Liners. 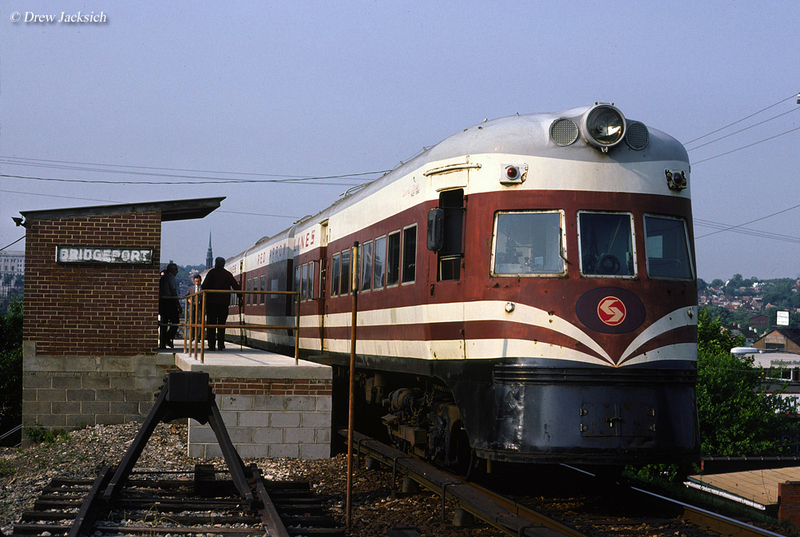 Also known as the Red Arrow Lines, the PSTC painted the sets in a beautiful red, white, and blue scheme and kept in continuous operation for another 16 years before finally being retired in 1979. Today, both sets remain fully preserved; #801-#802 at the Illinois Railway Museum in it original North Shore livery (and still operational) while #803-#804 is at the Rockhill Trolley Museum preserved in its Liberty Liner livery. For more information about the Electroliners and the North Shore Line please click here. You can also read commentary here about someone who actually road the streamlined trainsets.